It’s hard to get excited about moving to a new house,when there are so many things to do before the big day. What with arranging the transferral of utilities, forwarding your new address to societies and establishments and the stress of leaving behind your old life, it’s easy to forget how great your new home is sure to be. Perhaps the most daunting prospect of all is the packing up of all your belongings, and finding a way to safely and conveniently transport them to your new home. There are an abundance of removals companies in the West London area, many of them offering similar services, so which should you choose? House Removals offer a professional removals experience, with a reliable assessment, multiple vehicles and a lot of additional extras, such as tools and blankets, should you need anything dismantling or protecting. 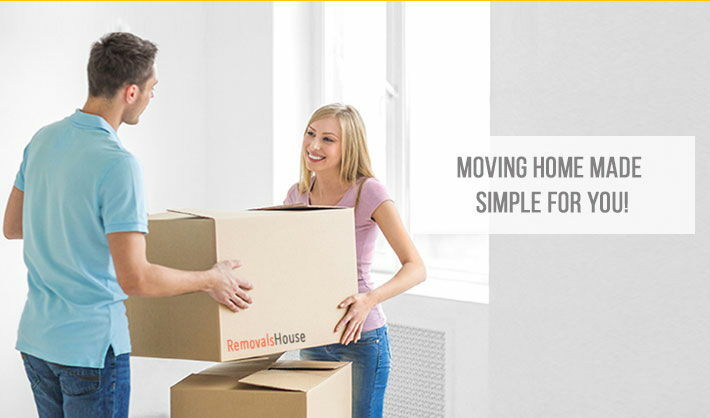 Not only can you gain a lot of time by hiring a removals company, you can also gain peace of mind. So call today on 020 8746 4357 and remove some of the stress from your transition. In 2004, the boroughs of Hillingdon, Ealing, Harrow, Brent, Hammersmith, Fulham and Hounslow were grouped together, and with the addition of Kensington and Chelsea in 2008, the area that is today known as West London was created. With a population of around one and a half million, West London spans a range of diverse neighbourhoods. From the fashionable and exclusive Kensington, to the more affordable Hammersmith, the area offers housing for all types of people and family arrangements. While some areas are fully established, other locations look set for further development in the coming years. For example Heathrow, Wembley and White City all offer opportunity for further housing and commerce. West London provides over one million jobs, and is host to some of London’s most exciting tourist attractions such as the Victoria and Albert Museum, Ealing Studios, and Fulham Palace. This blend of commerce and culture provide both locals and tourists with ample opportunity for employment and entertainment. For those interested in sport, West London is where you’ll find the stadiums of three major football teams - Fulham, Chelsea and Queens Park Rangers – and of course, England’s national stadium, Wembley arena, is located in the sub-region, so the area offers many opportunities to see an exciting match. Whether you’re moving in or out of this area, it’s important to be prepared for the journey ahead of you. Rather than attempting to deal with the move yourself, a removals company can provide a service that ensures you are able to relax as much as possible at this exciting, but potentially scary time. Depending on the scale of your removal job, you may simply need a ‘man with a van’; literally a provider of a vehicle that can transport your belongings from one residence to another, or you may need something on a larger scale. If your lifestyle is especially hectic, then you could consider handing over the reins entirely to a removals company, and taking advantage of their packing services too. This way, rather than running around attempting to organise your new life, whilst still living your old one, you can focus on enjoying the last few weeks in your current residence, and allow the task of packing to be done for you. House movers provides all these services, and does so with a friendly manner and understanding attitude. We understand this time is important for you, and want to help in any way possible.